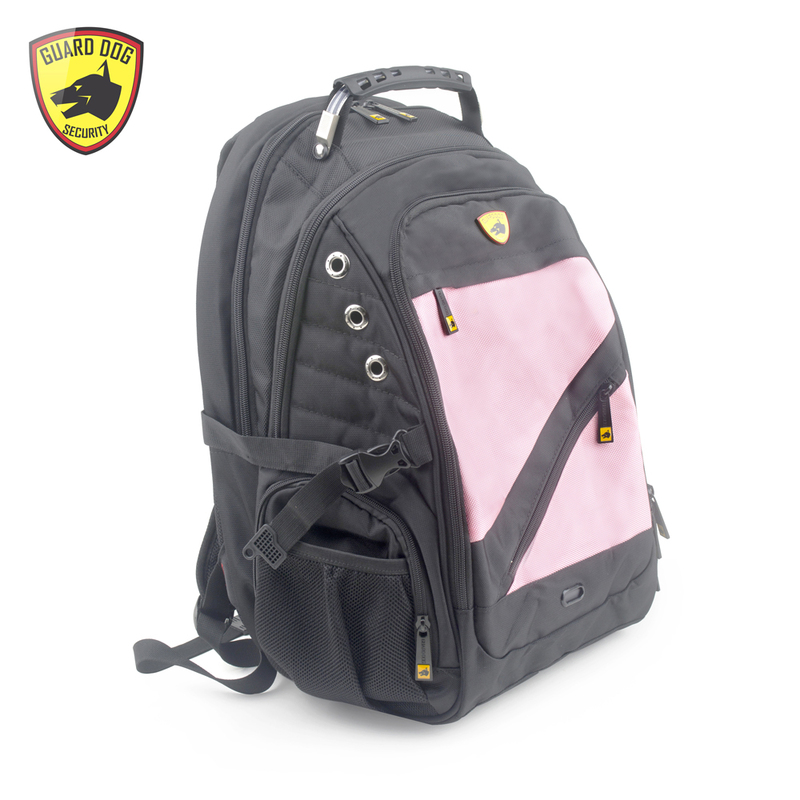 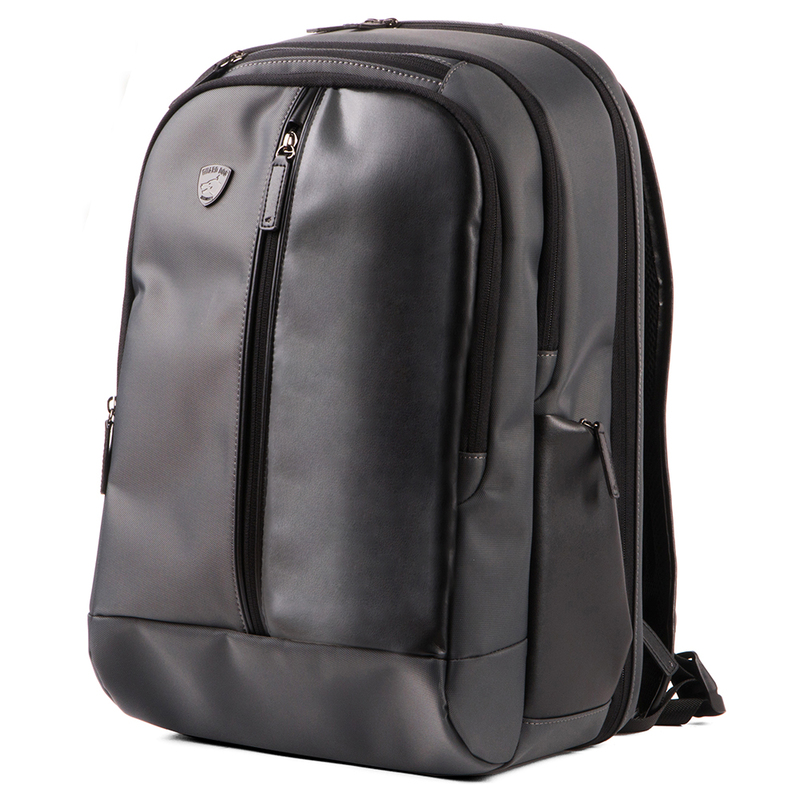 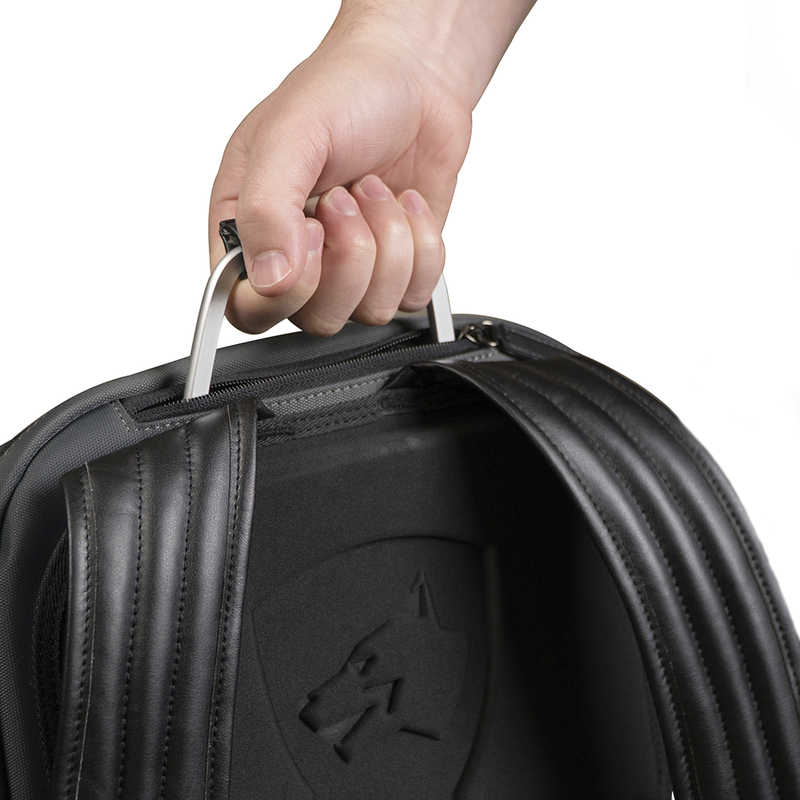 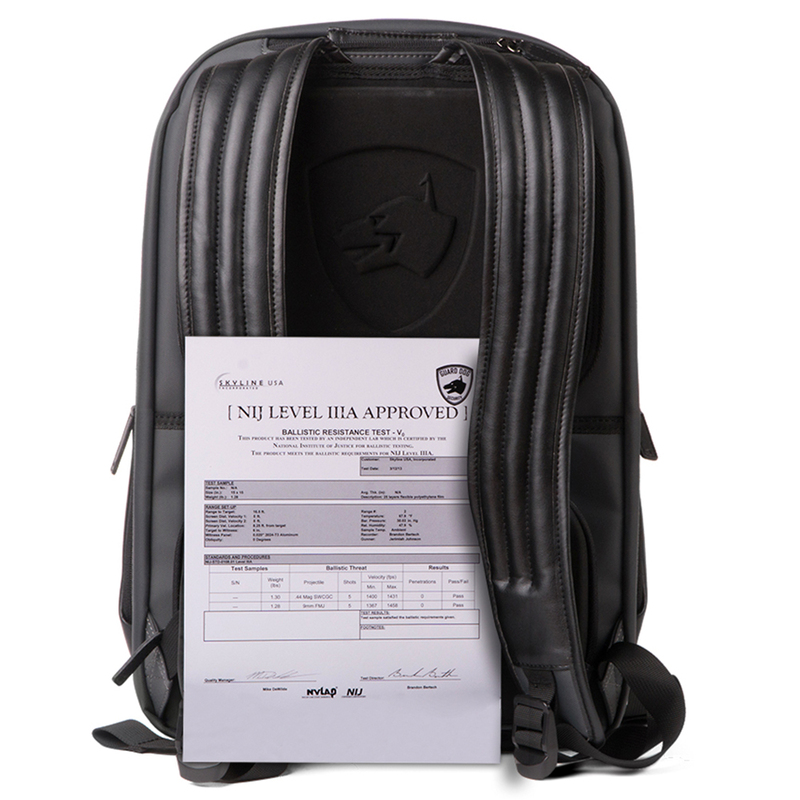 Guard Dog Security presents the most sophisticated, finely designed backpack with bulletproof protection and wealth of functionality, the ProSheild Pro. 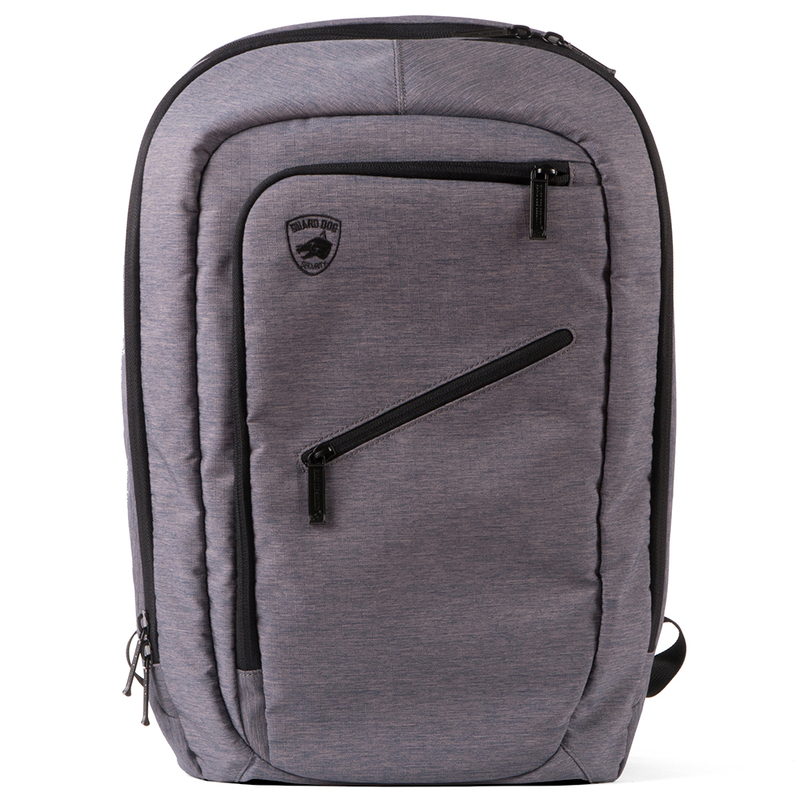 Meticulously designed from the bag to the pockets, zippers and compartments, the Pro provides comfort and convenience throughout for daily use with over 20 sleekly placed compartments, expandable laptop and tablet sleeves, an airflow back design, adjustable and padded straps and a handle that hides when not in use. 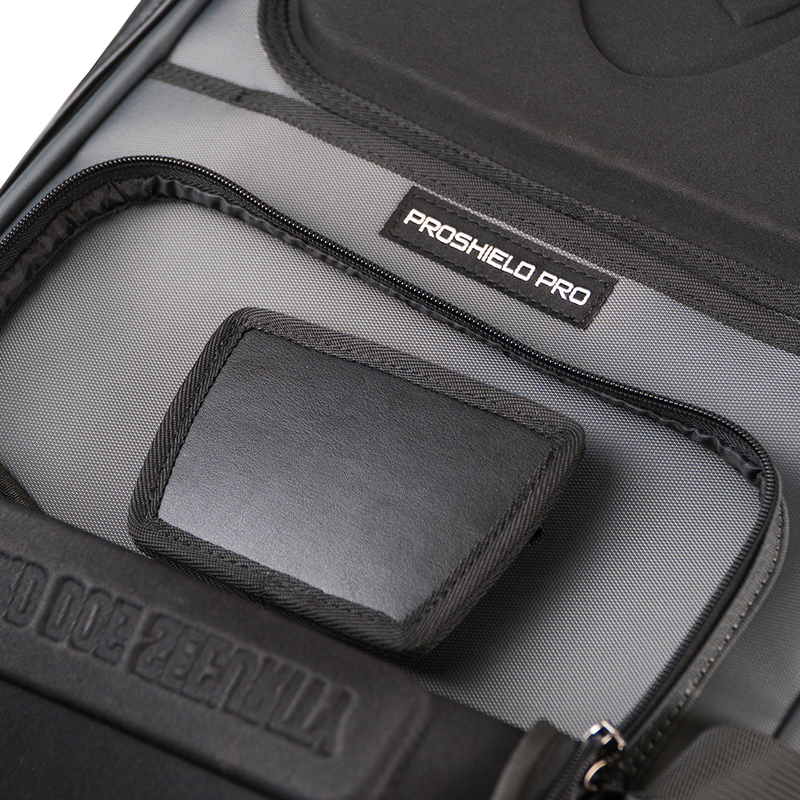 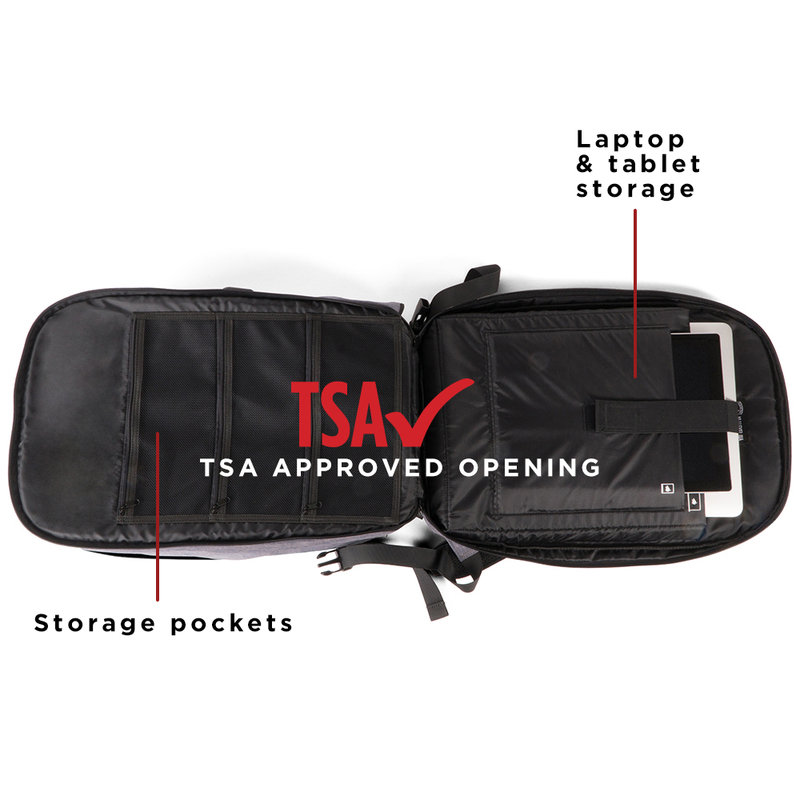 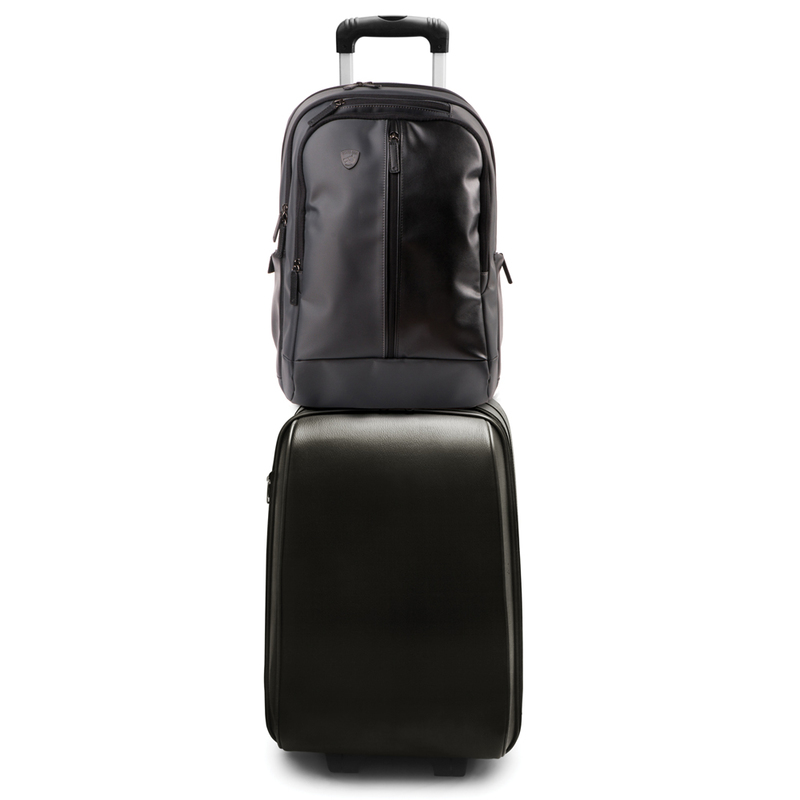 When traveling, the ProShield Pro provides for a convenient luggage sleeve that attaches on to you carrying luggage and a TSA-approved back opening, eliminating the need to remove your laptop and tablet through screenings. 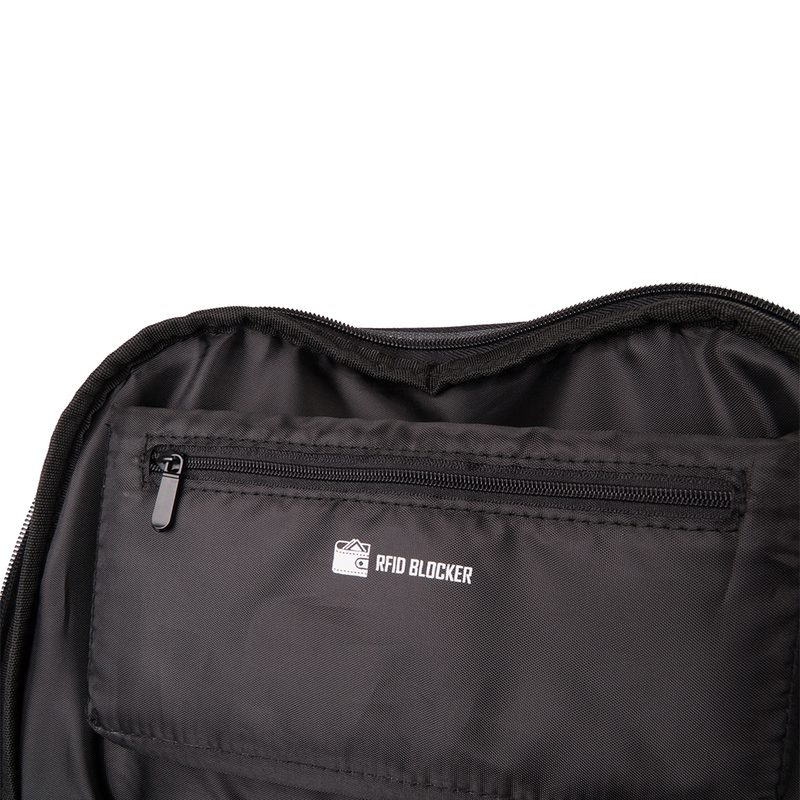 Boasting ultimate safety features, this Guard Dog ProShield features NIJ IIIA certified bulletproof protection, all while weighing only ounces more than a non-armored backpack.